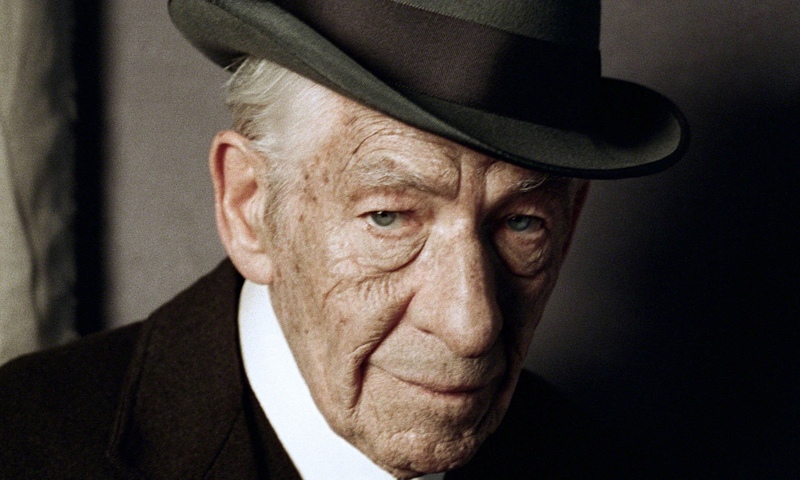 Contrary to Dave’s opinion, Sherlock Holmes (Sir Ian McKellen) is NOT Scottish in MR. HOLMES. This week Spoilerpiece turns 1 year old AND Dave is back! The guys talk about whether it’s okay for him to make “Your Mom Jokes” now that he is a dad. Then Dave jumps into STRANGERLAND, which he dubs “the cinematic equivalent to spit up.” He jokes about how acting skills don’t run in the Fiennes family and wonders how Nicole Kidman is still making movies considering she hasn’t had a good one since 2004’s BIRTH. Dave did see something good though: A PIGEON SAT ON A BRANCH RELFECTING ON EXISTENCE, which has a terrible title but a really interesting premise. Evan covers MINIONS, a film that stars characters who work better in small doses. Finally Kris wraps up the show by reviewing MR. HOLMES, where an elderly Sherlock Holmes has a housekeeper that’s definitely NOT Scottish and he flashes back without acid. Stick around after the closing music for an added bonus.